For those who have always wanted to live the lifestyle of the rich and famous, here’s your opportunity! View the full article by the staff at Jersey Digs here. The CNBC article by Robert Frank can be viewed here. Miami-based luxury real estate auction firm Platinum Luxury Auctions has announced the upcoming auction of a 10-acre mansion located in the upscale community of New Vernon, New Jersey. Although initially asking $8 million, the property will now be offered without reserve, meaning that the home will be sold to the highest bidder regardless of the high bid price. Platinum, a firm specializing in the sale of multimillion-dollar homes at auction, was hired by the property owner to manage the sale in cooperation with New Jersey listing brokerage Kienlen Lattmann Sotheby’s International Realty. Listing agents Berly Teele and Lisa Geoffroy are representing Kienlen Lattmann for the sale. 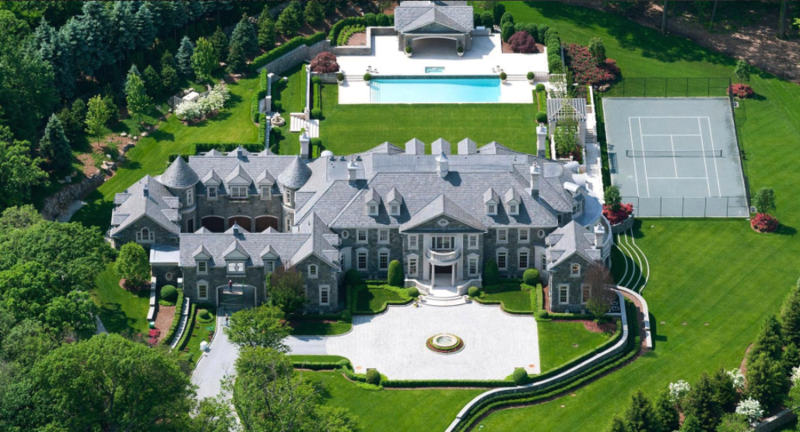 10-acre Mansion in New Jersey Going to Auction – with No Reserve! Perfect for the Philadelphia executive! View the full article on PhillyVoice.com here.